IBFAN’s 2010 breastfeeding calendar, with 12 A4-size full colour pictures of breastfeeding mothers from around the world, is now available. A great alternative to corporate calendars. (Discount for bulk purchases). 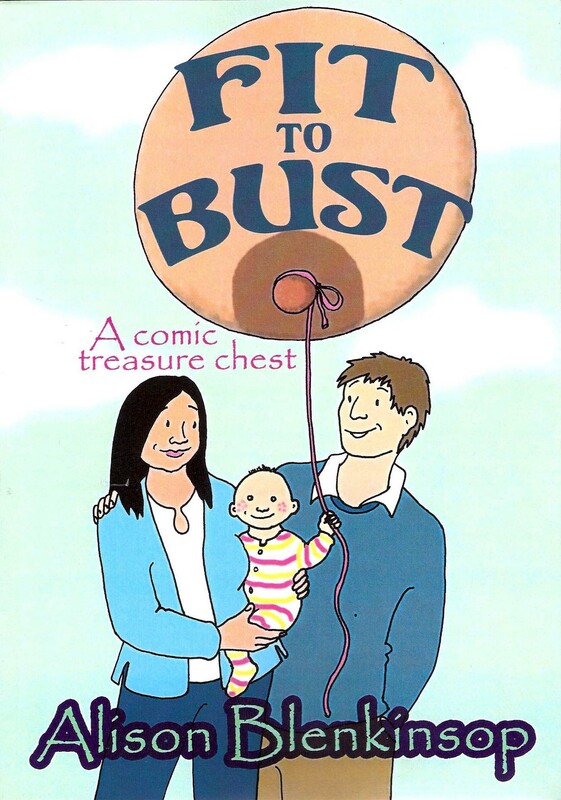 Fit to Bust, a book produced by Alison Blenkinsop, features songs and text in support of breastfeeding and the Nestlé boycott. Alison is donating money raised from sales to us. Order both items and we’ll send you a free set of vintage notelets. This review of discussions about formula feeding on parents websites by Jessica Mitchell of the Food Commission, commissioned by the Caroline Walker Trust. 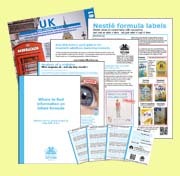 A report on the composition of infant formulas in the UK by Helen Crawley of the CWT will also be available shortly. Emergencies can happen anywhere - making infants especially vulnerable. World Breastfeeding Week’s 2009 Action Folder by the World Alliance for Breastfeeding Action and the Infant Feeding in Emergencies Core Group includes a Guide for Action in four languages. The ICDC Focus, The Code and infant feeding in emergencies, illustrates how the International Code can help stop inappropriate donations and commercial exploitation. 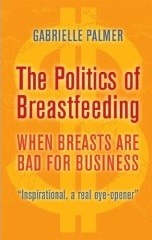 when breasts are bad for business by Gabrielle Palmer. Professor David Morley, CBE, MD, FRCP, founder and President of Teaching-aids at Low Cost (TALC), and one of our most valued advisors and friends, died on 2 July 2009 aged 86 years. A tribute from Felicity Savage King (Word document). 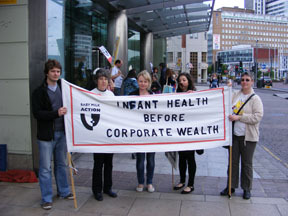 The annual demonstration at Nestlé (UK) HQ in Croydon passed off peacefully on 16 May with protesters handing out leaflets to passers by and listening to the alternative Nestlé Chairman’s speech, given by Mike Brady of Baby Milk Action. Prior to the event Baby Milk Action was contacted by Croydon Police who had been tipped off by the Police Intelligence Unit about the numbers of people signing up to the event on Facebook. We pointed out that people from around the world were giving their virtual support in cyberspace and we weren’t expecting these people to arrive in Croydon from China and Sri Lanka and other countries, however convenient for Gatwick Airport. Campaigning shareholders, ACTARES, held a demonstration outside Nestlé’s AGM in Lausanne in April 2009, handing out leaflets about the Nestlé spying scandal. Baby Milk Action’s Patti Rundall called on the new CEO, Paul Bulcke and the Board to rewrite its Annual Report taking into account the independent evidence of its widespread malpractice, to stop using health and nutrition claims, to stop opposing the adoption of strict legislation, to address the obesity problem (which had not yet been discussed at Board level) and to accept our Four-Point Plan. Peter Babeck-Letmathé, previous CEO and current Chairman, said that since she no longer trusted him Richard Laube, CEO Nestlé Nutrition, should answer. Laube said that their internal audits showed a “trend to less, quote, violations of the code,” but he denied they are the worst violators. He then gave us a vote of thanks saying: “Because we have found that when the Code is...the most strictly enforced at the national level, Nestlé’s market share in business is the healthiest...inadvertently the Code has acted in Nestle’s favour. So we have every interest to uphold it and maintain it and we have absolutely no interest in undermining the code in any of our behaviours.” (See page 8, page 15 & page 22). 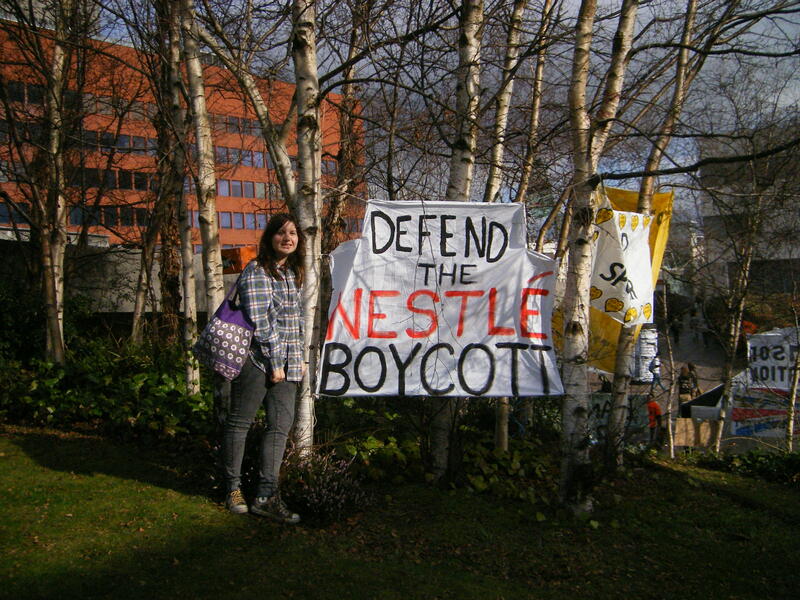 Jess Haigh (pictured) campaigned to keep the boycott and wrote about her experiences for the Boycott Nestle blog. The team of five that Nestlé sent to lobby against the boycott could not win the argument over whether malpractice is taking place - it came down to the best method to prompt changes. Fortunately students appreciated this was a ruse to undermine the campaign and backed the boycott. 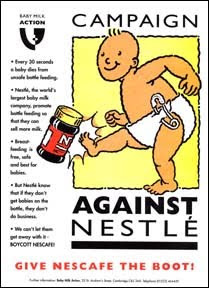 Although Baby Milk Action ‘engages’ with Nestlé on many occasions, it takes public campaigns, backed by the boycott, to stop its malpractice. We also work for legislation implementing the World Health Assembly marketing requirements to create a level playing field for all companies. Companies oppose legislation in favour of codes of conduct, but also claim they cannot cooperate to end violations voluntarily, because of anti-trust regulations. Interesting then to read in PR Week: “Nestlé Waters, Danone and Highland Spring have joined together to launch a new association to lobby on behalf of the bottled water industry.” That would be the same Nestlé and Danone, the two biggest baby food companies who are driving down standards as they compete. Campaigners in Switzerland are pursuing Nestlé through the courts in a civil case after it was revealed by Swiss Television that Nestlé had hired Securitas to infiltrate Attac Switzerland, which was producing a book on Nestlé business practices. The spy, who was run by a former MI6 officer working for Nestlé, gained access to the editorial board and private emails and documents, including from baby milk campaigners and from Colombian trade unionists whose colleagues had been murdered by paramilitaries after organising at Nestlé factories. A book analysing the scandal was published in October. In August Nestlé launched a £43 m Nescafé promotion in the UK. Nescafé is its flagship product and the principal target of the UK boycott, although Baby Milk Action encourages supporters to boycott all products from which Nestlé profits. Nestlé is by far the most boycotted company in the UK according to independent surveys. You can order credit-card sized cards, Nescafé - No thanks cards and Give Nescafé the boot leaflets from Baby Milk Action. Peter Brabeck, Nestlé’s Chair, has indicated that the company may leave its homebase Switzerland if the federal government imposes a cap on executives’ salaries. Although his annual salary is officially only about US$5million, at the AGM in April we learned that, with his shareholdings, Brabeck probably earns more like $16m. There has been speculation that Nestlé may try a hostile takeover of the Cadbury confectionery company. When Nestlé moved Rowntree brands overseas after its hostile takeover it cut the workforce. Update February 2010: Cadbury was taken over by Kraft. Nestlé was criticised in September for buying milk from confiscated farms in Zimbabwe being run by the wife of President Mugabe. Swiss regulations forbid dealing with members of the regime. Nestlé argued that no Swiss person was involved in the deal and suggested Nestlé Zimbabwe needed the supplies to keep operating and would otherwise have to pull out of the country. 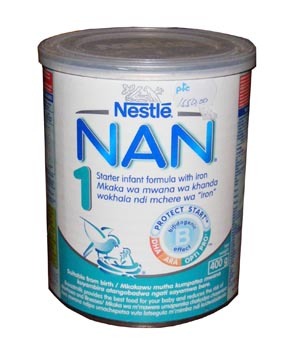 We recall that in 1998 when Zimbabwe was planning to introduce laws for the marketing of infant formula, Nestlé also threatened to pull out, stating: “This would result in job losses for about 200 people and an extremely negative economic impact on local farmers who supply us with milk, wheat, maize and sugar.” The Government went ahead, judging that Nestlé was in Zimbabwe for the good of its profits not Zimbabwe’s farmers. Nestlé has since stopped buying milk from the Grace Mugabe farms, but that hasn’t forced it to leave the country. Now its line is it was only buying the milk because the Dairy Board couldn’t and it didn’t want it to go to waste. Methodist Conference have requested that we remain committed to engaging Senior Executives in the company on the issue of breast-milk substitute marketing and other ethical issues. Baby Milk Action did warn the Central Finance Board at the outset that investing in Nestlé would be used to undermine the campaign and pointed out it was not necessary to be an investor to gain influence over the company - we believe it would have had more impact by refusing to invest while Nestlé violates the International Code of Marketing of Breastmilk Substitutes and subsequent, relevant Resolutions of the World Health Assembly. While it is welcome that the Church has raised Nestlé’s misrepresentation of its investment, it is a concern that Nestlé has continued undermining out work regardless for three years, while paying dividends to the Central Finance Board from the profits it makes while doing so. The £1 million investment to ‘seek change from within’ has not stopped Nestlé. Nor has it prevented Nestlé launching a global relabelling campaign claiming its formula ‘protects’ babies. Perhaps it is time for the Central Finance Board to learn from how our public campaigns shaming Nestlé force changes (see page 19). 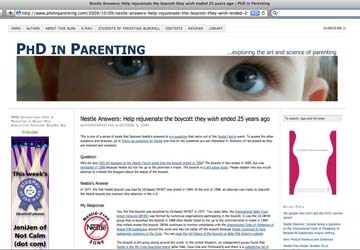 Nestlé continues to mislead parents about its breastmilk substitutes, the latest strategy being unveiled at Nestlé’s shareholder meeting in Lausanne in April 2009, showing how these strategies come from the very top of the company. Nestlé is claiming that its formula ‘protects’ with prominent logos on labels highlighting added Long Chain Polyunsaturated Fatty Acids (LCPUFAs) DHA, RHA, Opti-Pro (which implies it has visual benefits) and Bifidus. The functional benefits that are encapsulated in the ‘Protect’ logo are scientifically substantiated - the result of many years of intensive research on how best to improve the formula composition to stimulate the infant’s immune system. It has been suggested that low levels of long chain polyunsaturated fatty acids (LCPUFA) found in formula milk may contribute to lower IQ levels and vision skills in term infants. 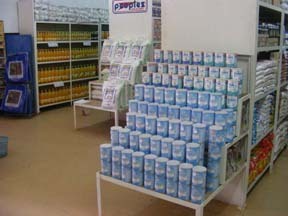 Some milk formulas with added LCPUFA are commercially available. This review found that feeding term infants with milk formula enriched with LCPUFA had no proven benefit regarding vision, cognition or physical growth. Nestlé did not try very hard: the name of the store chain, People’s Cash and Carry, appears in the photo. We have pointed this out to Nestlé after seeing its public comment. Nestlé simply dismissed Baby Milk Action out of hand when we raised our concerns, but it feels it cannot ignore messages from boycott supporters - and promises action. Clearly public campaigns work and we must keep them up. You can send messages to Nestlé and other companies about specific cases of malpractice by going to the ‘codewatch’ section. The baby food industry continues to argue that follow-on formulas are not covered by the scope of the International Code and that its marketing of these products is not a problem. A “Critical review of WHO’s report on “evidence of the long-term effects of breastfeeding..... with respect to obesity”1 concluded that a statement that “breastfeeding causally reduces the risk of overweight obesity is unwarranted.” In his “Disclosure of Financial Interest” (2005), one of the two authors, Dr. David B Allison, reveals grants and payments from over 100 companies including Coca Cola, Gerber, M&M Mars, Merck, Nutricia and Pepsi. In 2008 Allison tried to block a New York City ruling that restaurants list the calories of menu items, by writing an affidavit as a paid consultant on behalf of the restaurant industry. Following criticism from members of the US Obesity Society Allison resigned before taking up the position of President of the society. Nestlé once claimed to control about 40% of the baby milk market, but the latest Euromonitor report (page 6) gives its share of the global baby milk and baby food market as 26% following its takeover of Gerber. Danone is in second place on 14% following its takeover of the NUMICO brands (Nutricia, Milupa/Aptamil, Cow & Gate). Baby Milk Action contacted Danone after the takeover calling for it to bring marketing practices into line with World Health Assembly standards. In the last global monitoring roundup, Breaking the Rules, Stretching the Rule 2007, Danone and NUMICO combined were responsible for more violations than Nestlé, particularly as NUMICO tries to compete with Nestlé in Asia (we have already documented how Nestlé drives down standards - see Update 41). However, as Danone didn’t own NUMICO at that time and has promised a ‘root and branch review’ of NUMICO’s operations, it has been given the benefit of the doubt as far as a consumer campaign is concerned. But its time is running out. IBFAN groups around the world continue to report violations and Danone shows no sign of bringing its policies and practices into line with the International Code (see page 10). Examples will be collected for the next Breaking the Rules report and if Danone is found to be as bad Nestlé it will surely be time to call a boycott. ACTION: The Nestlé boycott focuses on Nescafé, its flagship brand, though we list all the products from which it profits. If there is to be a boycott of Danone, which product do you think should be the principal target, not including products that may be essential to health such as infant formula? World Economic Forum - a help or a trojan horse? Non-Communicable Diseases (NCDs) such as heart disease, diabetes and cancer account for 60% (35m) of total worldwide deaths Reduction of NCDs should ideally be included in the Millenium Development Goals (MDG). Undernutrition and overweight, which are associated with sub-optimal breastfeeding, contribute significantly to NCDs. Peter Brabeck, Nestle Chair, (along with Tony Blair) is on the Board of WEF, which has 1,000 member companies, most with turnovers over $5bn. We believe that allowing WEF to join the IAC would create a potential for undue influence of WHO policy and would send the wrong message to Member States. We have asked WHO to allow only public health bodies alongside Member States on the IAC. Once priorities are agreed, the Private Sector could then be consulted to act as multipliers and to encourage members to work towards well defined public health goals. At the first NCD Network meeting in October, WEF was described as having no commercial agenda. However, in his presentation for WEF, Dr. Raynaud mirrored Nestlé’s approach and language, referring to Wellness, Respect and Trust, the ‘business case for investing in health’ and the need to stimulate new market opportunities through Public Private Partnerships. WHO has assured us that it has not yet decided and that our views will be considered seriously. We have had disturbing news that the United Nations High Commission for Refugees (UNHCR) is in discussion to expand a substantial partnership with Nestlé on water, sanitation and livelihood development. Nestlé joined UNHCR’s Council of Business Leaders in Jan. 2005. ACTION: Please write to the UN High Commissioner for Refugees, António Guterres, UNHCR, Case Postale 2500 CH-1211 Genève 2 Dépôt, Switzerland (fleming@unhcr.org) calling for a rethink on account of Nestlé’s continued violation of human rights, not only in respect of the International Code, but on the many other issues listed on Page 21. Taking money from a Code violator undermines any work UNHCR or the UN system as a whole strives to do on infant and young child survival. Representing Save the Children, we joined the IBFAN team for the WHA in May. IBFAN’s Dr Arun Gupta, presented a petition of 45,000 names to the President of the World Health Assembly, H.E Mr N S de Silva, calling on governments to end the promotion of baby foods aimed at children under age two by 2015. (135,000 people have now signed the petition). In an intervention on behalf of Corporate Accountability International, Dr Gupta called for an end to partnerships with the baby food industry, and drew delegates attention to the WHO Framework Convention on Tobacco Control (FCTC).1 This calls on governments to protect their health policies from interference by the tobacco industry. Corporate Social Responsibility (CSR) falls within the FCTC’s definition of advertising and sponsorship and a new law in Mauritius bans CSR by the tobacco industry. Media Minister Ben Bradshaw has announced a consultation on a proposal to lift the current ban on product placement in UK-made TV programmes from early 2010. As one of the 300 member organisations of the Children’s Food Campaign we will be opposing this covert form of marketing of junk food to children, who will not be able to differentiate the advertising from the storyline. Bradshaw’s precedessor, Andy Burnham, said product placement “contaminates our programmes.” Like commercially sponsored education materials, it blurs the boundaries between advertising and editorial. Surveys show that 91% of people oppose this form of influencing children. While product placement will not be allowed during “children’s programming” 71% of children’s viewing is outside ‘children’s’ airtime. In the 1992 film City of Joy, Patrick Swayze (who sadly died last month) played an american doctor working in a Calcutta slum. In the above scene he hands a mother of a malnourished infant (her hands stunted by leprosy) two cans of Nestlé Lactogen infant formula. This scene was not in the original book so we wrote to the Director, Roland Joffé, who denied it was product placement. John Redwood (who, as Secretary of State for Wales, signed the 1995 Infant Formula Regulations and was allegedly responsible for weakening them) spoke at a Conservative Fringe Meeting, From Brussels to Business: How do we break the Red Tape Stranglehold on UK PLC? in October. He proposed a regulatory ‘budget’ aiming to cut the costs of regulations by 20% over the lifetime of Parliament. We asked if we could be confident that a Tory Government would respect essential regulation (such as the International Code) which protects child health. He assured us that essential laws would be retained, but warned that every regulation has to be examined for ‘side effects.’ He couldn’t remember his role in the 1995 Regulations. 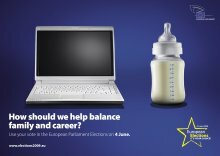 See more on the Campaign and Networking Coordinator's blog: Did you unfortunately object to the EU feeding bottle image? This year’s World Breastfeeding Week theme was Breastfeeding - a vital emergency response. The messages were heeded at the end of September when Typhoon Ondoy ravaged MetroManila with floods and muds which swept homes and humans away without mercy. 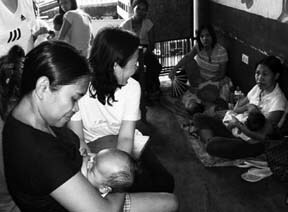 The IBFAN group in the Philippines, Arugaan, together with La Leche League, Latch, Peace and Joy Mission Group and the Community Groups of the City of Taguig, helped with wetnursing, relactation and breastfeeding counselling in the evacuation centres. Pasteurized human milk was cupfed by volunteer doctors and university students at the evacuation center. At the Nestlé AGM in April, in response to our question about its bad warnings on labels in the Philippines, Nestlé claimed to be ‘confused’ about how to implement the Regulations. The Baby Feeding Law Group wrote to the Philippine Secretary of Health, Francisco T Duque III in May, highlighting how a weakness in the Guidelines on Labelling regarding warnings about intrinsic contamination is being exploited. provide an avenue for citizen action so that complaints can be filed directly with a court instead of through a regulatory agency. 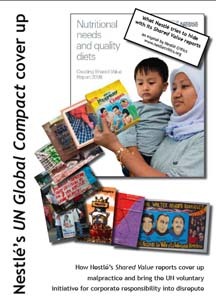 Send for the Campaign Pack, which includes a DVD from UNICEF Philippines showing how claims on milks for older babies undermine breastfeeding in the Philippines.